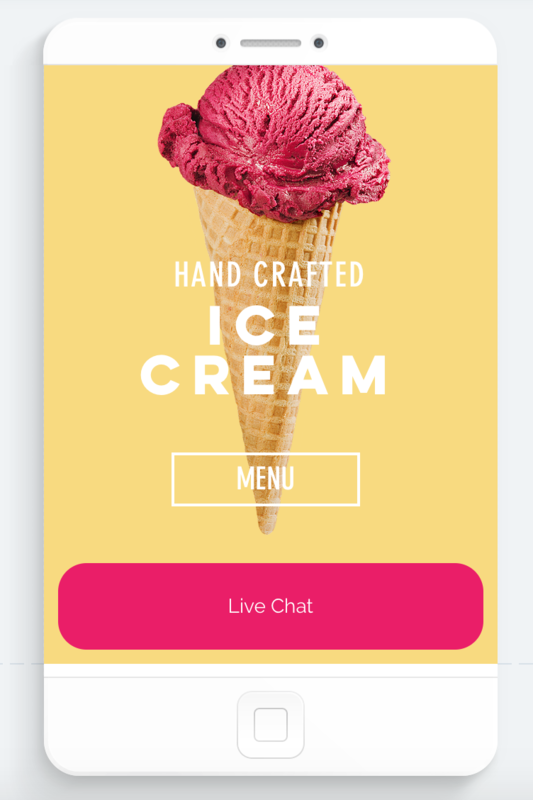 If you already live chat set up on your Wix desktop site and wish to enable it on your mobile site as well, you're at the right place. 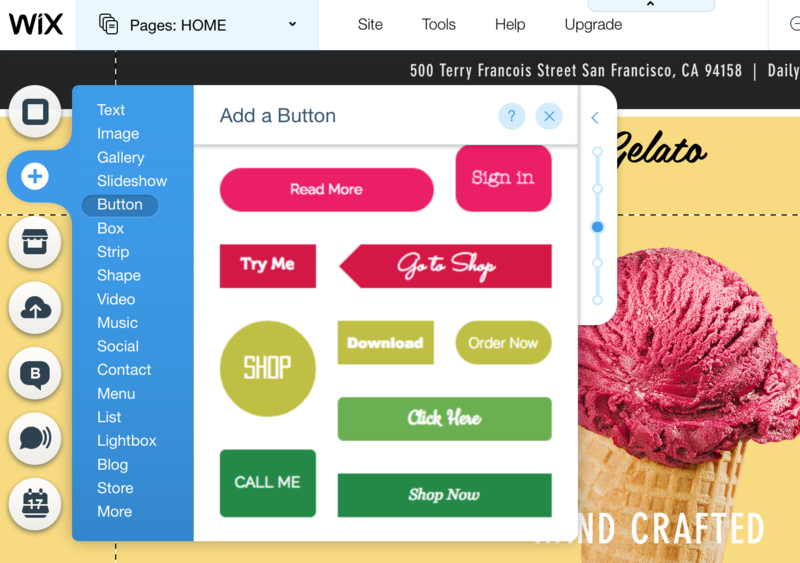 By default, Wix does not support fixed position apps on their mobile view (which is what our app is). So in order to enable on your mobile view, you simply add a button that is only visible on your mobile website and link to your dedicated Live Chat url. 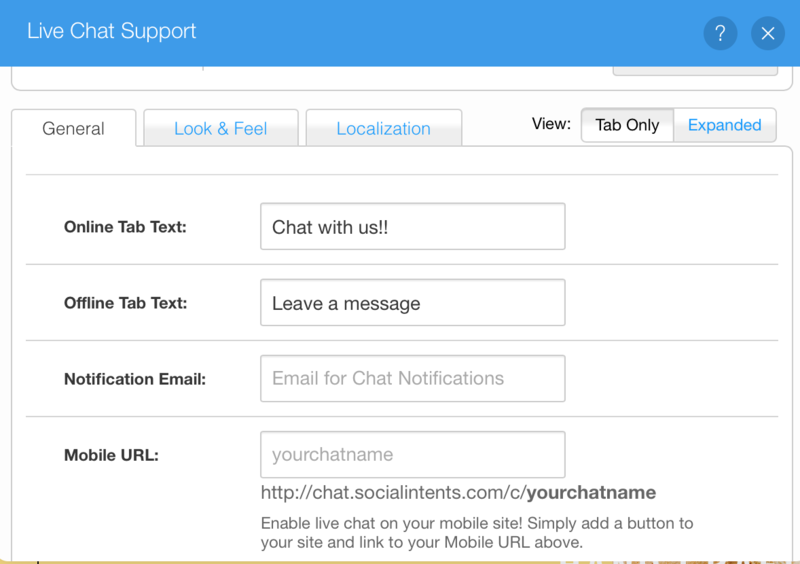 To create a standalone Live Chat link you can use on mobile, email signatures, or elsewhere, first go to the app settings from the Wix Editor. Find the Mobile URL field and enter your shortcut name, typically your business name or product name with no spaces or special characters. (Note that this feature is only enabled on premium plans). Once you fill in your chat name, you'll see a link you can use to open your live chat in a standalone browser. Now, create a button on your desktop view and link to the url above. Once the button is added, click it to open the button settings. Notice the Link icon, click that to add the standalone link to the button. 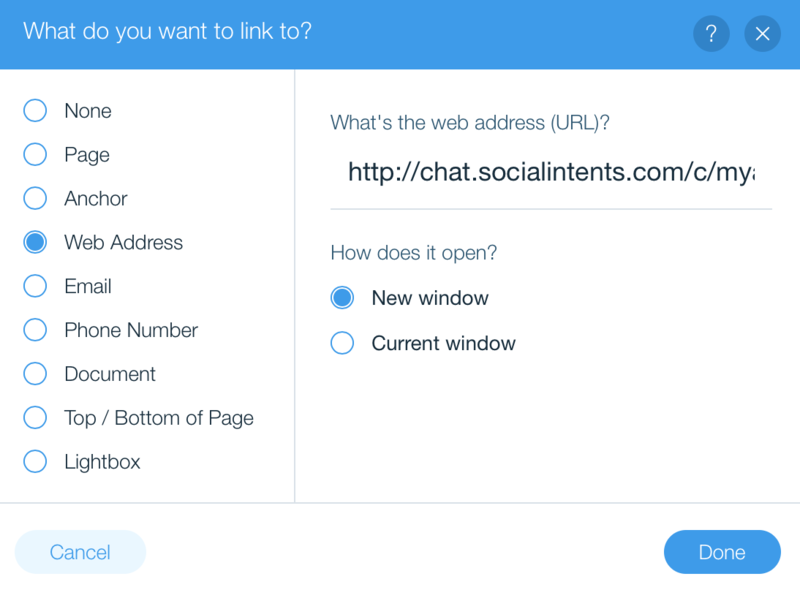 Select the "Web Address" option and enter the text from your URL, then Done. 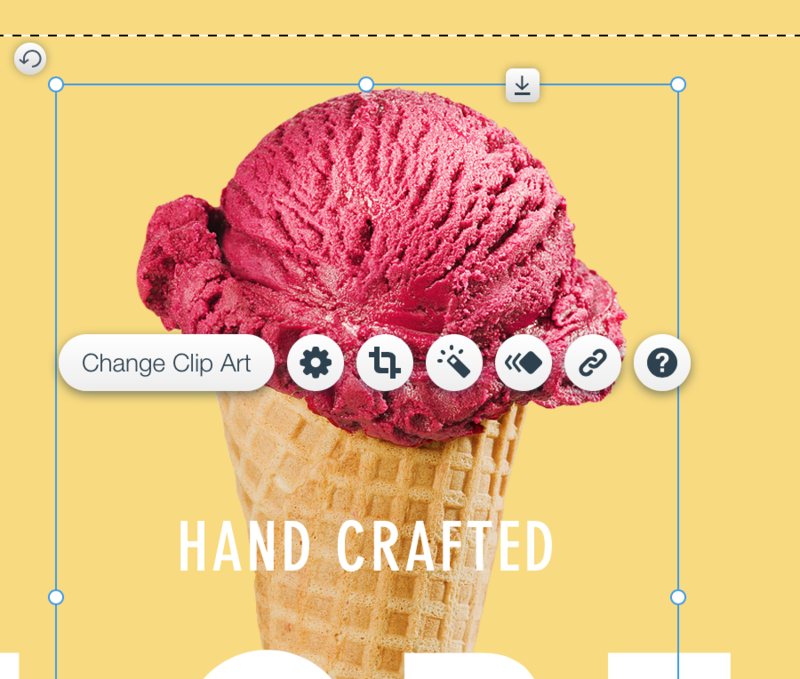 When you're back in the Desktop view, if you only want to display this button in your Mobile view, right click the button (in the desktop view) and select Arrange --> Send to Back, to hide it behind and image or other layer. Finally, switch to your Mobile Editor, and you should see your new button visible in the editor. Move it where you like, save and publish. 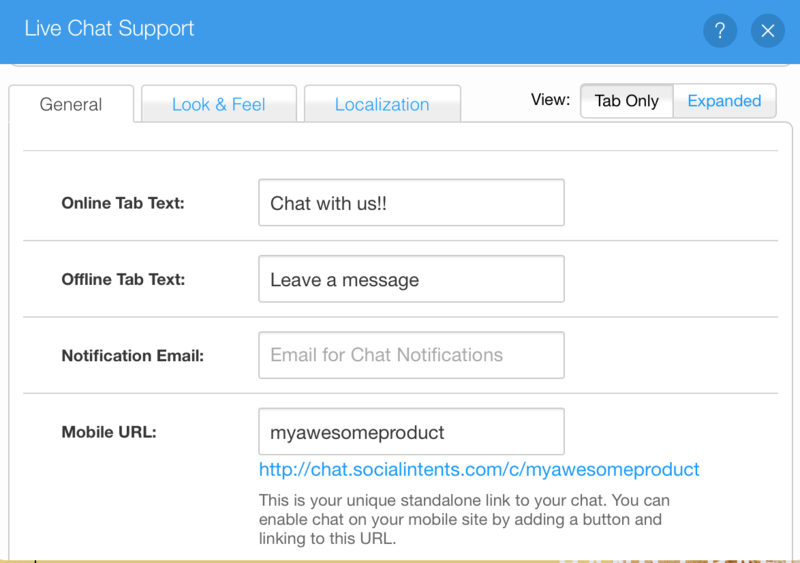 Your Live Chat is now enabled on your mobile Wix site!